If you're looking for someone to brighten your day, meet Sarah Kersey (best known at camp as Gidget). 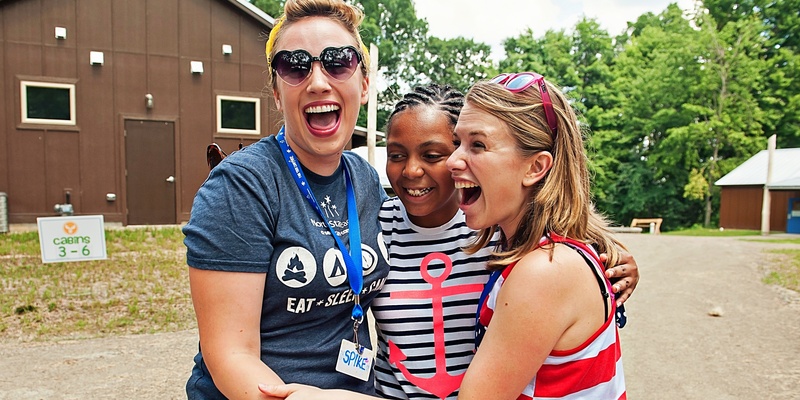 She graces camp with the kind of energy, joy, and thoughtfulness that uplifts everyone in her wake. 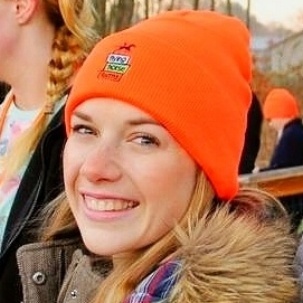 We asked Gidget, who has experience at multiple SeriousFun camps including Double H Ranch (NY), Flying Horse Farms (OH), and North Star Reach (MI), to tell us how camp has shaped her life and teaching career. 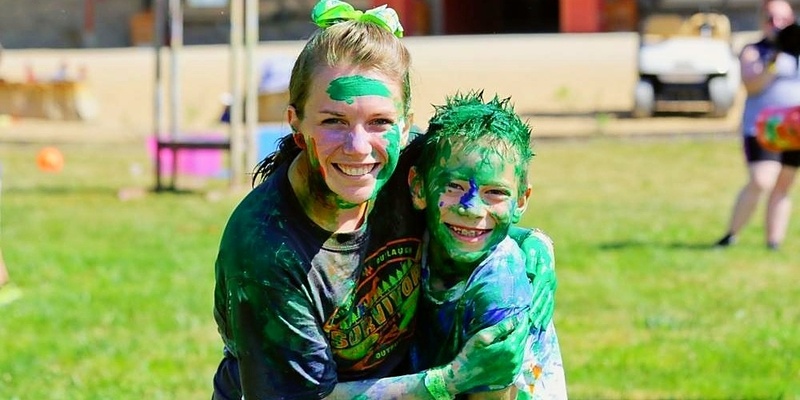 Gidget shares why she brings camp into the classroom, and what this means for her students. How did you first find camp? I found camp after being diagnosed with cancer in 2008. I was able to return to college in 2009 and heard about SeriousFun Children's Network at a Dance Marathon event. From the moment I pulled onto Hidden Valley Drive and was greeted by a beautifully vibrant staff, I knew I was in for the adventure of a lifetime! After a week of volunteering I knew I needed to return, and was lucky enough to spend summers 2010 and 2011 at Double H Ranch. After completing my master’s degree I was able to spend another two summers in the Network, this time a bit closer to home. 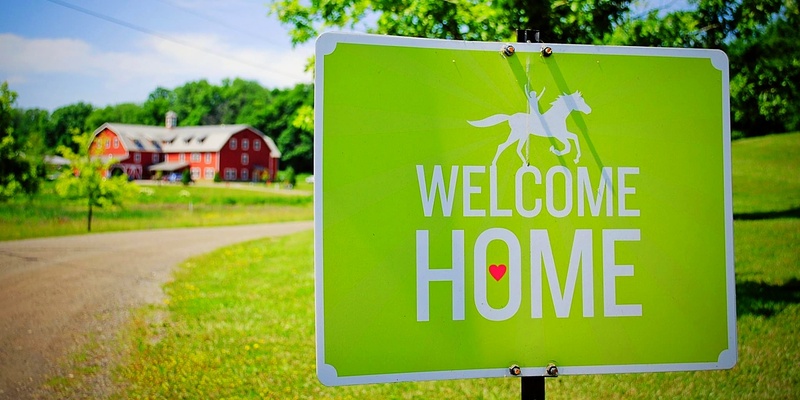 Flying Horse Farms opened their arms and welcomed me into their camp family as a seasonal staff member in 2012 and 2013. Tell us about your teaching gig. Truth be told, having a camp close to me was a big deciding factor in where I searched for a teaching job, so when a position opened in Columbus, OH I knew it was the right for me! I teach 3rd grade in Dublin, Ohio and absolutely LOVE what I do! Each day I am lucky enough to walk into a classroom where I spend my time with a family of 26. Being a school teacher is so much more than instilling the love of reading, writing and math each day. Having the opportunity to do life with these kids and walk through real-life experiences, challenges and triumphs is why I do what I do. We learn from our mistakes, see that being different is beautiful, celebrate our milestones and most importantly learn that being a good person is of the utmost importance. What brings you back to camp each summer? Summer breaks were always a time to find yourself, and for me I felt like I began to do that when I first attended camp. I found out what it meant to be genuinely passionate about something and also saw the world with a different lens. Such great adventures happened during my summers at camp and year after year I was hungry for more. The friendships that are built with fellow counselors are the strongest that I have to date, and that is because our hearts beat for the same reasons—to love, serve, and grow alongside the incredible campers we meet each session. The campers and their families have always been the main driving force to return to camp each year though. These young men and women are kind, fun-loving, and courageous. I have always been drawn in by our campers ability to love one another, not only for their similarities but also for their differences. Every program, meal and interaction has a purpose. 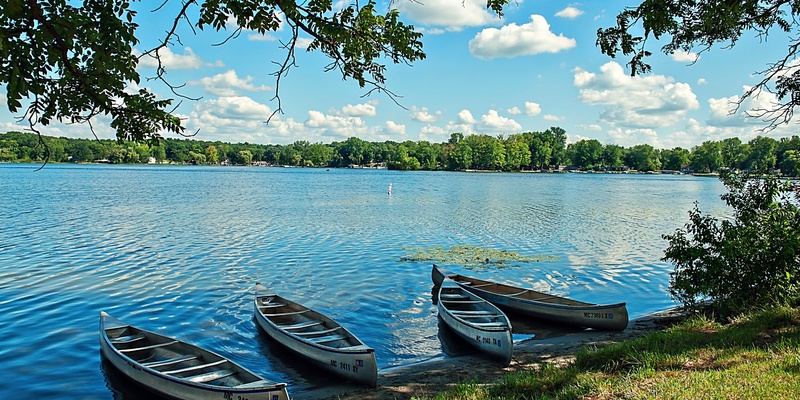 Every camper, family member, counselor, board member and staff has a story about how they’ve been changed, which is why we come back, because camp is home. 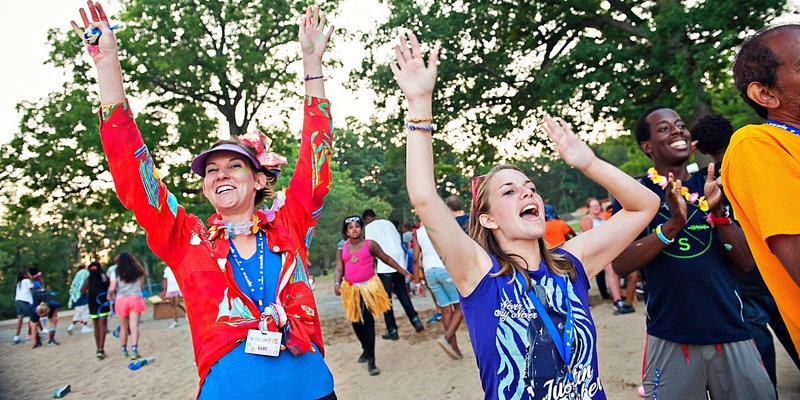 Everyone is celebrated at camp, and every milestone is treated with the most pure form of joy. How has camp impacted the way you teach? Oh my goodness... camp is the single greatest impact on my career by a landslide. Think about it this way: my classroom is a like camp on the go (just with academic subjects replacing fishing, archery and swimming). It is at camp that I learned how to serve specialized needs while being sure that everyone could participate and be engaged in an activity. 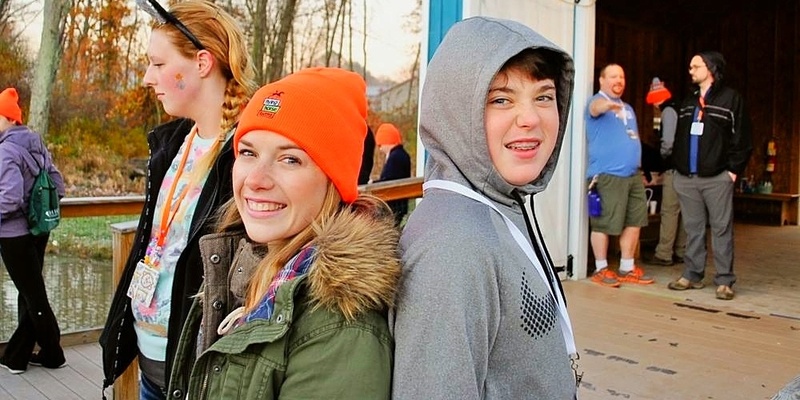 At camp I learned the need for students to have the opportunity to build friendships with other kids who understand the unique challenges we each have. 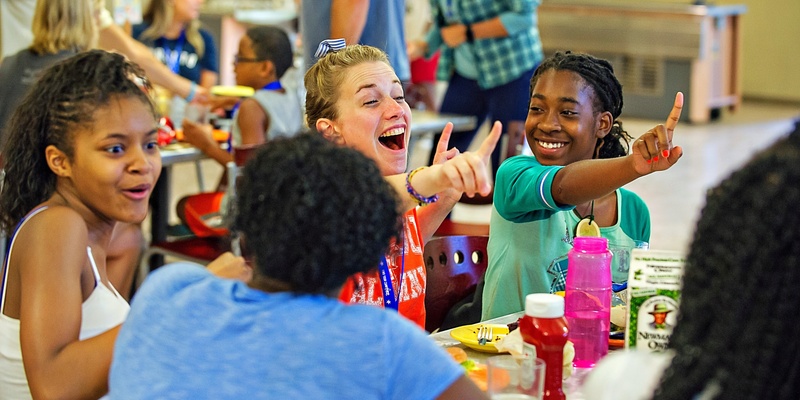 Differentiating learning and social goals in school is no different than making sure that the climate at camp is set in a way that campers feel safe and loved. Another great impact camp has had on my teaching is knowing that every student has physical, emotional and academic limits. I learned to use the method of challenge by choice. We would always encourage campers to try and persevere, but not to the point of panic. This has helped me instill the practice of students knowing to push themselves so they can grow and achieve their goals as well as students being aware of their personal limits. This creates a beautiful climate that invites my students to learn and grow each day! Are there any camp techniques you use while teaching? What’s the most creative thing you’ve done in the classroom? I try my best to be creative and innovative in the classroom just as I encourage my kiddos to do. I try to live outside the box, so the idea of a March Madness seemed to fit the Sarah Kersey mold. During the month of March I wear the same black dress each day. I might wear the dress as a shirt, under a cardigan, with a scarf… the options are endless. I want our focus to be on WHO WE ARE and not necessarily what we are wearing. We don’t need a lot to show who we are inside, which is the main purpose of this project. The kids often join me for a portion of the time as well, and the experience thus far in my career has been one where I see insurmountable personal growth for both myself and the students. Has camp spread to other teachers and classrooms at your school? It’s sort of hard to miss our class… we’re the family that always tries to defy gravity. When I am asked where I get my ideas from I am able to share what my greatest influence has been, which of course is camp. Just as my students know, my colleagues also know my love for Serious Fun Children’s Network. My hope is that I can share some of what I know and have learned from camp with others as I continue in the field. 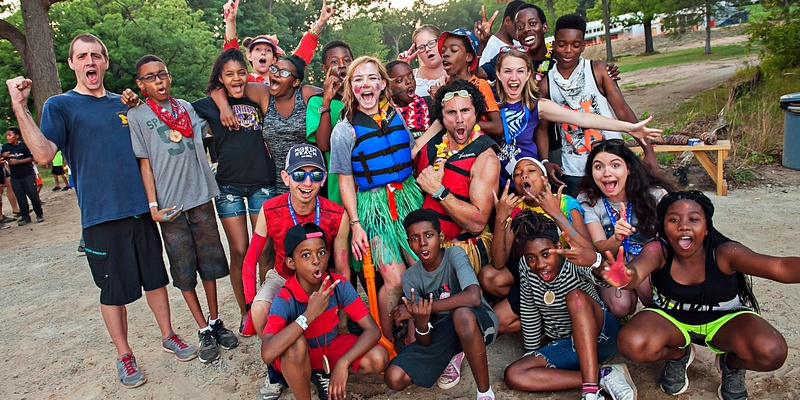 Have you shared your camp experiences with your students? Only all the time! In order to be a relatable educator, students must know what I am passionate about. They always know if I have spent a weekend at camp, because they recognize the "bucket full, battery empty" on a Monday morning. My experiences at camp are shared through stories of time spent there, in lessons about being servant leaders and more! What leadership skills have you learned at camp? Confidence: While I am outgoing and have always had a bubbly pep in my step, I will be the first to admit that I'm not the most confident in sharing my thoughts with my colleagues. Recently, at camp, I have learned the importance of finding and using your voice for good. We encourage our campers to respect others opinions and to feel confident in sharing their own as well, so I try to practice what we preach. Passion: Until you open your heart and allow yourself to care so deeply about something you won't understand what it means to be passionate. At camp I learned that passion can be stronger than your fears. Innovation: At camp it isn’t necessary to color inside the lines. We are encouraged to be creative and innovative. 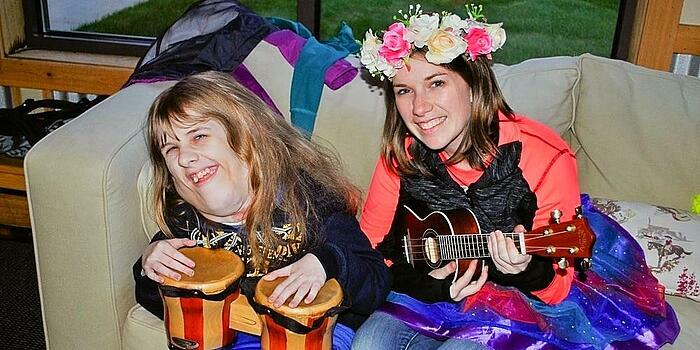 Creating programming for groups of campers who are developmentally different and who have specific medical needs has been an incredible learning experience because walking into a classroom has many similarities. What else do you want to tell us about the integration of camp into the classroom? I have adopted the importance of campers first and brought it into my classroom. My philosophy at school is that students are always first. Their needs, aspirations, goals and dreams are never taken lightly. I want them to know that I am proud of them and that they can do anything they set their minds to. With that comes hard work and dedication, which is so intentionally taught at camp. Camp has truly made me the teacher that I am today! Thanks for taking the time to share how camp has become an intregal part of your classroom in practice and spirit, Gidget! For more information on SeriousFun Children's Network, visit seriousfunnetwork.org or contact us at info@seriousfunnetwork.org. We welcome your thoughts on what camp means to you.